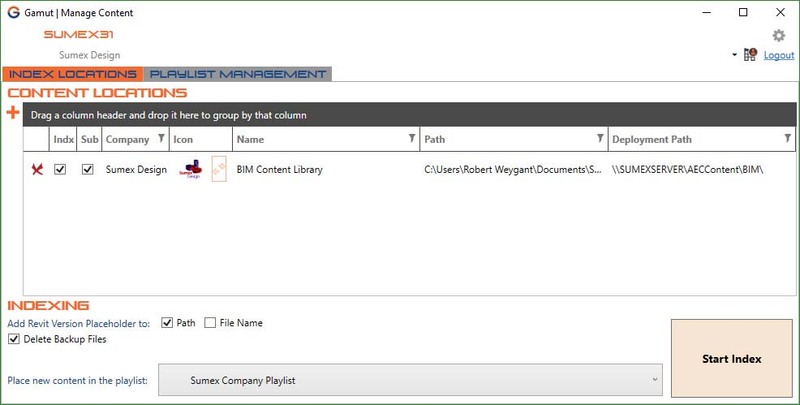 The easiest way to manage your firm’s BIM content library is to let the users forget about where files are located. 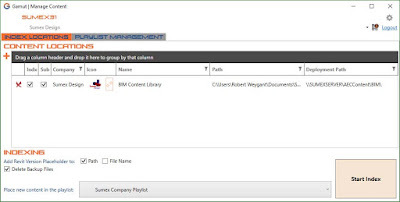 GAMUT|MANAGER lets the BIM manager organize and index content libraries so that the users can find it from inside of Revit using keywords and filters. Whether the files are local, network or even web based, users can find what they need without having to navigate through endless directories and subfolders. Index families from your local and network libraries – Eliminate type catalogs forever and load content using GAMUT|USER. Include assemblies and materials from projects – Transfer Project Standards and Assembly Warehouse files are a thing of the past. Limit what users can load into projects – Include only the families, assemblies, and materials that you give users access to, and protect your content from inadvertent modifications and version upgrades. Deploy multiple families, assemblies and materials – One at a time or hundreds at once. GAMUT|MANAGER is brought to you by SPECtrumBIM. It's free.